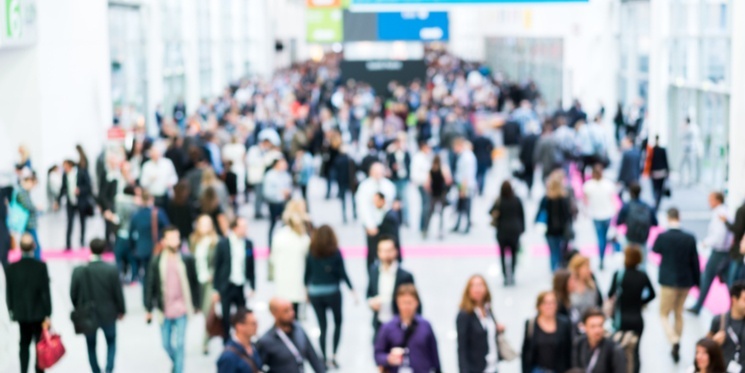 Despite advancements in technology and the internet changing the way customers buy, B2B trade shows remain an important part of the inbound marketing mix. But like all other marketing activities, they are only effective if they are properly planned and executed as a part of your overall inbound marketing strategy. In reality, your buyers do not need to attend a trade show to learn about your products anymore, they can visit your website, social channels or read online reviews. Buyers hold all the power, and they will only seek out your booth over your competitors if they have a good reason. Here are some tips on how to use inbound marketing to maximise the success of your trade shows. One of the most critical mistakes B2B marketers make is not to define a strategy for attending and set goals. Gone are the days when you can just turn up with some branded merchandise and a couple of your salespeople and expect people to come flocking. Instead of handing out free merchandise, Mike Lieberman suggests you provide your visitors with an exclusive e-book that's only available at the event. If they want the e-book, they have to register with you at your booth. This ensures you only get leads that are interested in what you do and not just your promotional products. What do you need to achieve by attending? How many new leads do you need to get from the show to make it a success in terms of ROI? How many of those leads need to close as sales? Are there particular influencers attending that you need to network with? What product is your primary focus, or what message do you want to get across at the show? Do not forget the post-show follow up. Make sure your strategy includes a clear lead nurturing plan that launches the day the show ends to keep momentum and your company name in the forefront of your prospects minds. Ensure your exhibition space is vibrant, inviting and clearly tells visitors what your business is all about. Passers-by want to be able to tell in a split second who your company is and what you offer. Do not overcrowd the space - people want to be able to walk around and not get hemmed in by unnecessary furniture or pot plants. Ensure the messages used in all marketing activity before the show are consistent with what is in your booth, and any branding is consistent with your website. Practice setting up in advance and draw up a floorplan of what will go where, taking into consideration which direction the most footfall is likely to approach your booth - are you on the approach to/from one of the lecture halls or the coffee shop, for example. Generate hype around the show by actively posting on your social channels in the months and weeks beforehand. Create specific micro-copy which builds excitement and creates buzz around what you are offering at the show. Use teaser campaigns, hashtags and link to the event location and organisers at every opportunity to build momentum and get your posts shared by a wider audience. Offer product demonstrations or consultations at the event that people can pre-book and then plan their day around. Consider sending out an email campaign to your marketing database with a link through to a booking form. Ensure to include information about any exclusive offers you have, only available at the event. Dan Tyre’s inbound sales mantra is always be helping. Your trade shows should be no different. Instead of handing out freebies and gimmicks, or asking people to shove business cards in a vase to win an iPad, offer genuine value to your visitors. Conduct your product demonstrations, or free consultations at your booth (if appropriate). The people that have pre-booked will give your booth an instant buzz and you can book passers-by into any remaining slots. Ensure you have the right staff on your stand, and never be tempted to hire interns or temp staff to man the stand on your behalf. While this may seem a cost-effective approach than blocking out your higher paid sales and marketing team’s diaries for the duration, it can be counter-productive. Imagine if a prospect has made an effort to come to the event because of your pre-event marketing activity and is greeted by someone who doesn’t know who your company is or what you offer. First impressions count and can make or break business relationships. The staff on the stand need to know your products inside and out, they have to be privy to the event strategy and any pre-event marketing offers made. Nothing is worse than overpromising and under delivering. Your social activity should ramp up even more during the show. Use live tweets and hashtags to create a buzz and get attendees involved by encouraging them to tweet, take selfies, or complete reviews. Social is also a great way for people who are unable to attend your event in-person to participate and get value from the event's conversations that they can follow virtually. The time immediately following the event is the most crucial. Your strategy must include a process for post event follow up that starts the day the show ends. This could be the offer email of the free eBook you created especially for the show or further educational content for everyone who booked a demo, for example. If your salespeople received specific requests to follow up, ensure they have blocked out the day after the show to respond directly to hot leads before they go cold. Once the dust has settled post-event, revisit your strategy. Did you reach your goals? What is the ROI for attending, this may not be in actual sales yet - but you can forecast potential business and track the prospects through the sales funnel. Revisit the strategy at a later date, appropriate to the average length of your sales cycle, how many of the leads have converted to customers, and what is the average sale price? Consider sending a survey out to all staff that attended to get their feedback on the event. You may also want to send it to a selection of your advocates, contacts, or customers that attended the event to get their feedback on the show as a whole. Do not rebook an event until you have completed this analysis. In an inbound world, you do not have to be at an event just to prove you are in business. “Fear of missing out” is not a business strategy. Blindly rebooking an event just because you went last year without any strategy for doing so is a waste of your time and money. Follow these tips and ensure your next trade show is a success.